Legacy at Mansfield Meadows is a new 55+ community being built in Port Murray, New Jersey. Upon completion, there will be 226 single-family homes laid out around a clubhouse, outdoor pool, and tennis and shuffleboard courts. Residents will appreciate the prime location that is close enough to big cities to make day trips easy but far enough away to avoid the hustle and bustle. Legacy at Mansfield Meadows will have the amenities that appeal to active adult homebuyers. The clubhouse will be a social center of the neighborhood with a multi-purpose room available for community meetings and holiday gatherings. An outdoor pool and patio will be great places to relax during the warmer months of the year. Tennis courts and a shuffleboard court can be used for active recreation and challenging neighbors to a friendly competition. Ryan Homes is building the 226 single-family homes in Legacy at Mansfield Meadows. Homes will have up to 2,378 square feet with two or three bedrooms, two to four bathrooms, and attached two-car garages. First-floor master suites are featured on every model with optional finished basements for those looking for additional living space. Homeowners will enjoy a relaxing lifestyle while living at Legacy at Mansfield Meadows. Neighbors will be able to plan holiday parties and community gatherings at the clubhouse or enjoy the challenge of a game of tennis or shuffleboard. Residents will have more time for the activities they love, knowing that community maintenance, lawn care, and snow removal is taken care of by the homeowners' association. Legacy at Mansfield Meadows in located in Port Murray, which is part of Warren County. Errands and day-to-day shopping are easy with a ShopRite, CVS, Home Depot, and several banks just over six miles away in nearby Beattystown. A number of restaurants and a 14-screen cinema are also nearby, making nights out easy. Warren County provides several ways to enjoy the great outdoors with Jenny Jump State Forest, Mount Tammany, and Worthington State Forest. History buffs will love the Glendower Historic Mansion and Warren County Historical Society Museum. For big-city culture and attractions, New York City is about 60 miles away. With its low-maintenance lifestyle and great location, active adult homebuyers will love what Legacy at Mansfield Meadows has to offer in Northern New Jersey. There are plenty of activities available in Legacy at Mansfield Meadows. Here is a sample of some of the clubs, activities and classes offered here. 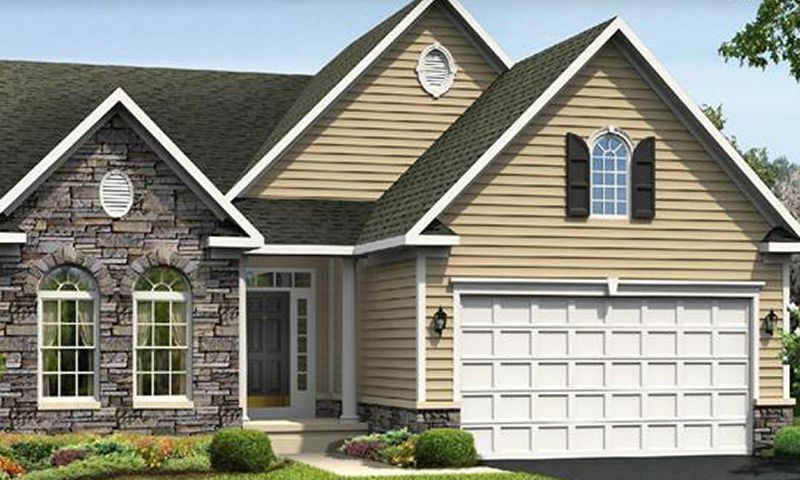 Ryan Homes is building the 226 single-family homes of Legacy at Mansfield Meadows. Homes will have up to 2,378 square-feet with two or three bedrooms, two to four bathrooms, and attached two-car garages. First floor master suites are featured on every model with optional finished basements offering additional living space. Please note: floorplans are not available at this time. 55places.com is not affiliated with the developer(s) or homeowners association of Legacy at Mansfield Meadows. The information you submit is distributed to a 55places.com Partner Agent, who is a licensed real estate agent. The information regarding Legacy at Mansfield Meadows has not been verified or approved by the developer or homeowners association. Please verify all information prior to purchasing. 55places.com is not responsible for any errors regarding the information displayed on this website.